The SearchCam 3000 locates victims trapped in collapsed buildings. 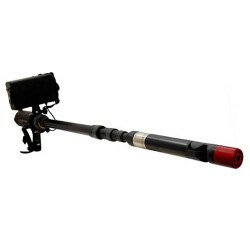 The articulating waterproof camera head with LED lighting pinpoints the victims’ location so that rescuers can extract them. The SearchCam’s on-screen graphics direct the rescue team to where and how to begin extraction. The two-way audio allows rescuers to communicate with the victim. Rescuers can record video and voice, as well as take still photos of the search. Camera Housing Diameter - 1.85"
Minimum Access Diameter - 1.85"